The $141 million XCEL Federal Credit Union in Bloomfield, N.J.., is now offering its members mobile banking on their iPhones, iPads, Androids, Kindle Fires and other devices that support HTML5. 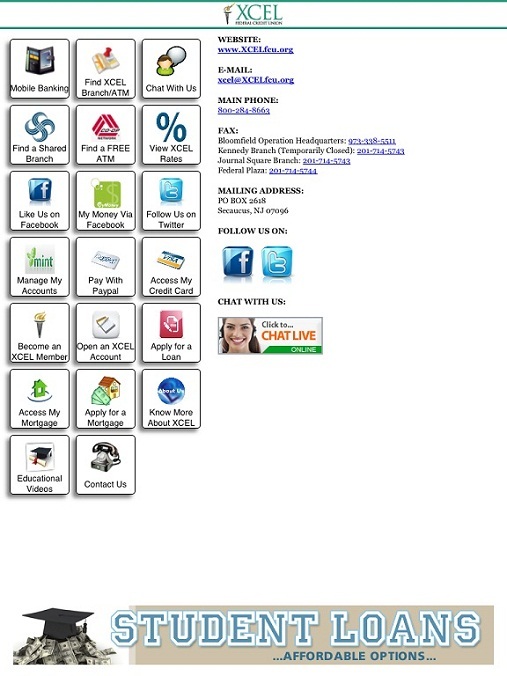 This is the iPad app from XCEL FCU, the Port Authority credit union originally headquartered in the World Trade Center. The $141 million XCEL Federal Credit Union in Bloomfield, N.J.., is now offering its members mobile banking on their iPhones, iPads, Androids, Kindle Fires and other devices that support HTML5, the credit union said.